Crashed due to unknown circumstances. 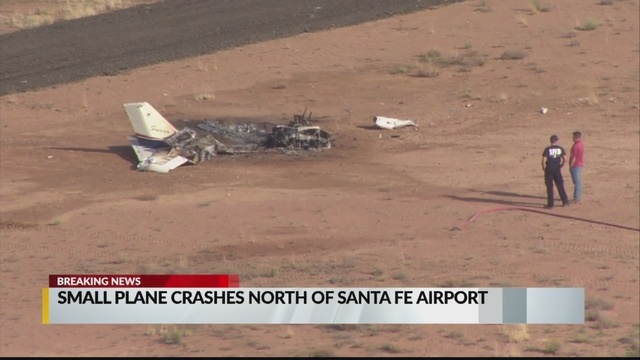 SANTA FE, New Mexico — The State Police have identified the two people who died in the crash of a small airplane at the Santa Fe Regional Airport Monday as flight instructor Larry Haight, 72, and student pilot Edward Jay Goldgehn, 60, both of Santa Fe. Haight was a flight instructor at local flight school Sierra Aviation. According to the Sierra Aviation website, Haight left the Air Force in 1989 and became a commercial pilot and flight instructor, as well as a licensed aircraft mechanic. The Federal Aviation Administration is investigating the crash. The FAA’s website shows that cause of the crash is undetermined. It also says the plane’s registration number identifies it as a fixed-wing two-seater Tecnam P2002 Sierra owned by Volare LCC of Santa Fe. Airport manager Mark Baca said on Monday that the pilot appeared to be doing “pattern work” – or flying practice – with “touch and go” landings and take-offs before the crash. Baca said the crash took place about 500 feet from the departure end of the runway. 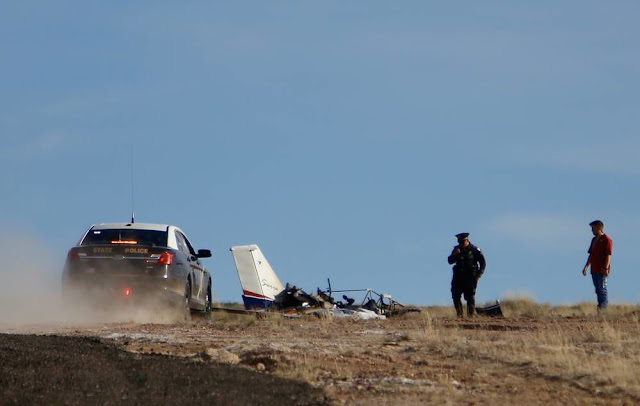 The pilot and passenger in a light sport aircraft (LSA) died following a Monday afternoon crash at Santa Fe Municipal Airport, New Mexico State Police said. City officials said occupants of the aircraft, whose identities were not immediately made public, were practicing landing techniques when the plane crashed and burned on airport property shortly after 3:30 p.m. The Tecnam P-2002 Sierra was destroyed by fire, an Federal Aviation Administration spokesman said. Santa Fe Fire Department assistant Chief Carlos Nava told The New Mexican that members of a crash rescue unit stationed at the airport responded to the incident, which occurred on a secondary runway just south of a National Guard complex. 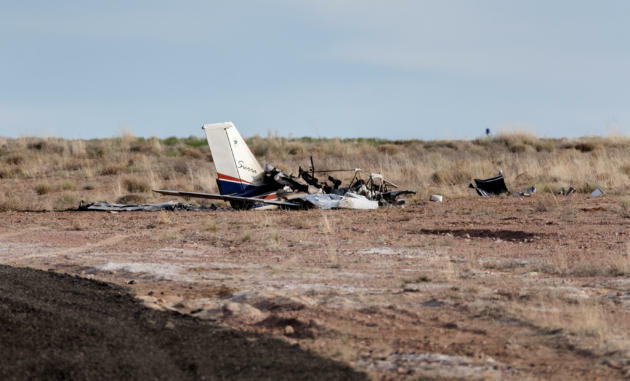 Baca said officials from the FAA’s Flight Standards District Office in Albuquerque were at the scene on Monday and that officials with the National Transportation Safety Board, which has taken over the investigation, will be at the airport on Tuesday. State police initially said on social media that the pilot was the only occupant of the aircraft. Spokesman Mark Soriano later said two people died. Chuck Grosvenor, an instructor with Sierra Aviation, a business based at Santa Fe airport that has a fleet of aircraft available for training and rental, said the leased aircraft was a Tecnam P-2002 Sierra. Monday’s fatal crash is the second at the airport in the past five months. 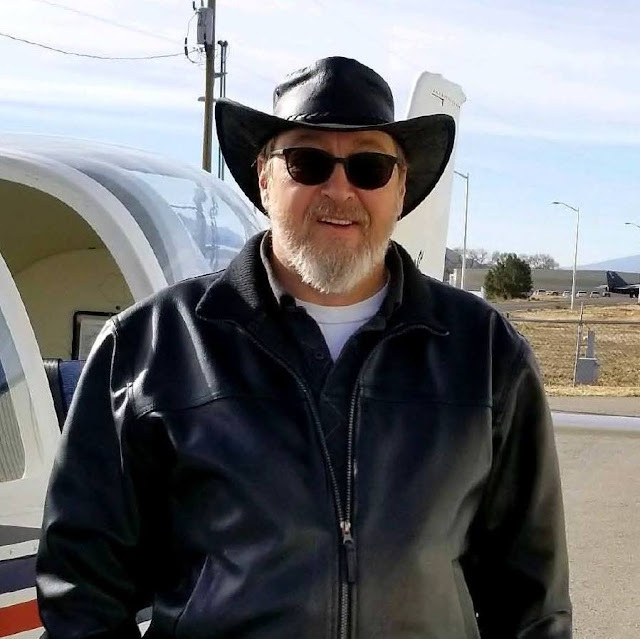 In late November, Larry Nelson, 73, of Wheat Ridge, Colo., crashed just short of the runway while on a trip from Arizona to Akron, Colo. Family members believe he was making an emergency diversion to the Santa Fe airport. March 02, 2019: Went off the runway into the grass. Dear God, what on earth would have caused such a horrific ending like this?! Doing T&G's one would think a minor crash would end up with a bent plane but this thing is a smoke hole above ground! Aircraft wreckage is located off departure end of runway 33. Use time 2140Z to locate the audio at liveatc. I am not sure how to make sense of this. 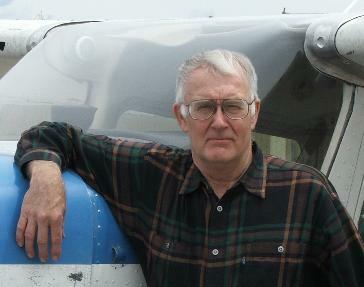 I am a student at the school, Larry was not my instructor, but he was such a proficient and experienced pilot. What in this world would make a plane go down in a stupid pattern practice exercise like this, and a day where winds were calm and skies relatively clear. Really. Unfortunately, what happened in that cabin, will probably might never be known. I cannot avoid thinking this poor Larry and the other guy just having this tragic end, just like that, still, I am disturbed by this, I cannot even imagine how their families will feel right now, I am so sorry for such a lose of such a good person, in such a stupid circumstances. Suicide by pilot comes to mind. Pure speculation but looks like what that one student did in another case but the instructor lived to tell the tale. And Tecnams with rotax engines are not exactly old planes bit modern machines with a decent safety record. RIP Larry. I knew you only for a short time. This whole thing stinks of strange and twisted. Don't think the whole story will ever be known here. An accomplished pilot flies (or stalls) a perfectly sound airplane right into the ground in such a critical phase of flight as take off. Any accomplished pilot knows (I would think) this is not a time to doze off. There are warning signs before a stall. A mysterious event we will probably never completely comprehend.